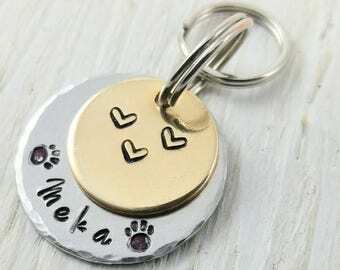 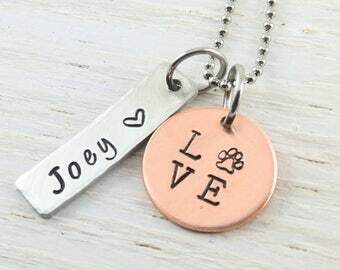 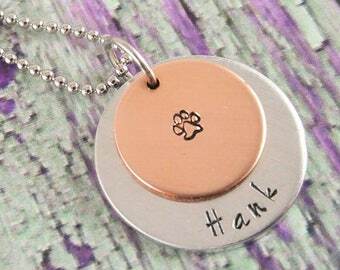 This cute dog tag is suitable for medium to large breeds. 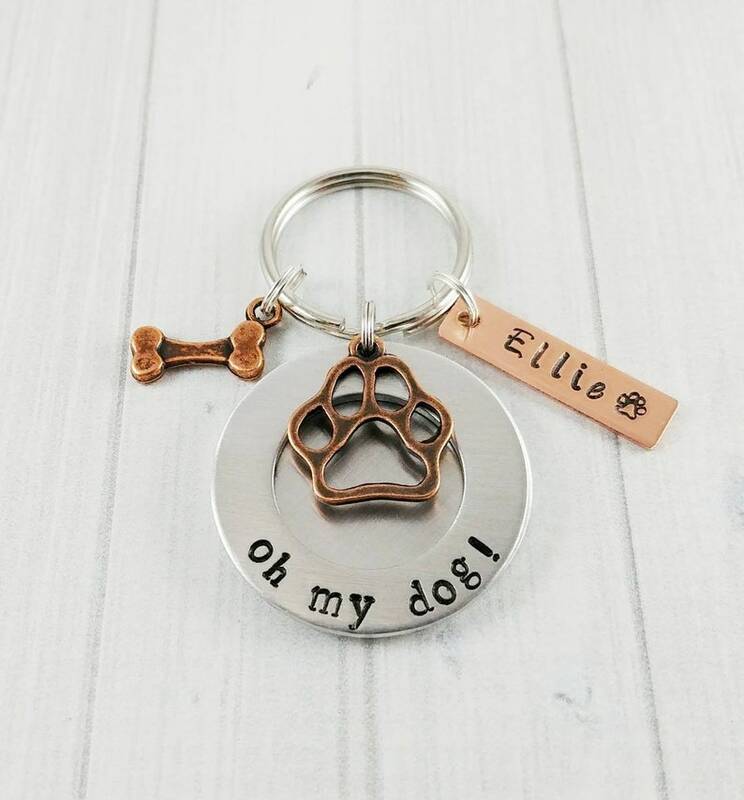 A stacked washer with the "oh my dog!" 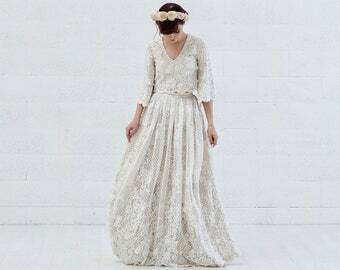 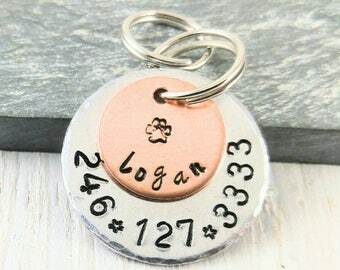 quote hides your phone number. 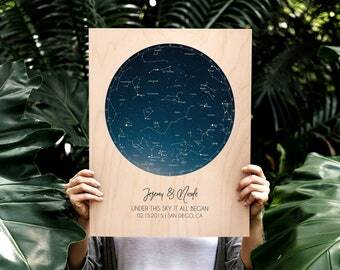 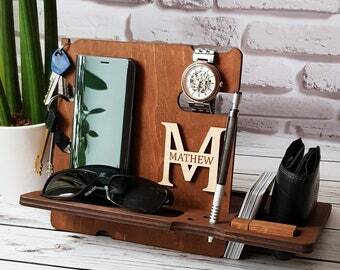 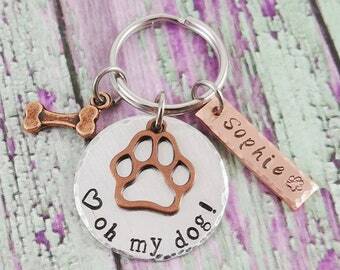 This makes a perfect gift for someone who just got a new puppy, or any dog lover. 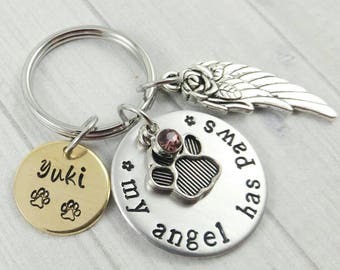 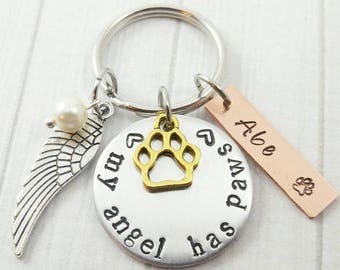 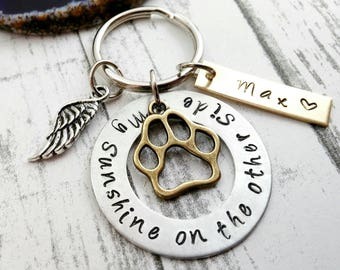 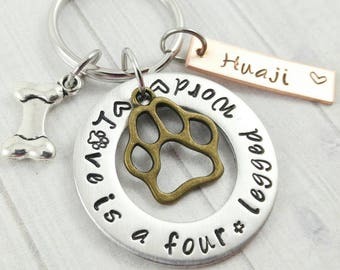 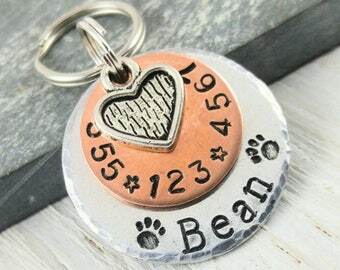 It can be used as a keychain, or pet ID tag.